Home N What is NEO? One of the first cryptocurrencies to come out of China, NEO used to be called Antshares until it rebranded in late 2017. 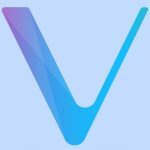 As one of the breakout crypto systems of 2017, many people have been questioning why it’s important and what it’s able to do. And with its CEO & Founder (Da Hong Fei) even calling Bitcoin (& Blockchain) a bubble – stating that the recent rally on Bitcoin was a major boon for his own offering… but isn’t deluding himself into thinking everything is fine – he expects a sharp correction to happen in the new year. The point of NEO is like many of the other cryptocurrencies – low barriers to entry have made it very easy for different people to create different coins, and NEO is no different. The big deal with NEO is that it’s been called the “Ethereum of China” – a nod to its nature as a decentralized platform (rather than a singular set of functionality such as Bitcoin), the coin’s value is predominantly based on the idea that NEO could be utilized by the massive Chinese government (imagine all the SOE’s using it). Regardless of whether people feel this is a worthy investment or not, it’s great to read about how developments are occurring in countries such as China. In this instance, NEO is representative of the new technology bubbling through to the surface. As such, it is a good indicator of the health of the Chinese market (the Japanese market is a different kettle of fish entirely). As ever, please appreciate this is not financial or legal advice. The information contained within this article is for education and entertainment purposes only, and is not an endorsement or recommendation of any asset or security. NEO is a development of a company called OnChain. This is important. OnChain are a legitimate company registered in China, which puts them squarely in the enterprise category. Simply, this means that rather than Bitcoin (which is based around a decentralized infrastructure), NEO is part of a growing brood of successful blockchain companies providing infrastructure development & management services for profit. 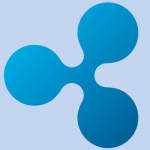 Such other crypto coins as Ripple and Stellar also operate this model (relatively successfully). This means that even before looking at the technology behind NEO, its intentions are relatively clear from the outset – to create commercial (or consumer) solutions which can be implemented with its own technology set (cryptocurrency). 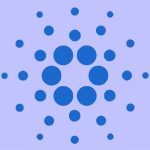 Onchain was founded by CEO Da HongFei and CTO Erik Zhang to consolidate a lot of the press and interest garnered by their AntShares offering (this was the precursor to the NEO coin we see today). 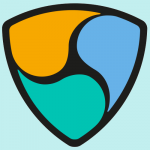 Check Out Also: What is NEM (XEM)? 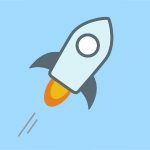 Rather than the week-old startups releasing ill-conceived ICO’s (which almost always ended in disaster), the pair took 22 months of R&D to even begin providing services commercially. Whilst they already had a strong asset (their Antshares coin), their enterprise offering was wrapped around the OnChain company. In April 2016, the company delivered China’s first whitepaper on consensus protocol (dBFT -delegated Byzantine Fault Tolerance). Operating its own private & public blockchain database system has allowed the system to become useful for both private and corporate. NEO uses a unique blockchain algorithm that improves upon Ethereum’s model. While the basics still apply, it also supports decentralized commerce, identification and digitization of several assets. Honestly, the most important thing here is the “China” connection. NEO works very similarly to the other decentralized systems – its main differentiator is the potentiality to be used by the likes of the Chinese government or a company such as Alibaba. Da Hong Fei and Erik Zhang are credited as being the founder of the system. Originally created as AntShares, its popularity prompted the duo to create the OnChain company in order to provide an enterprise-level offering for the system. 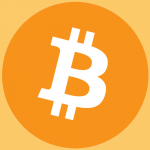 ‘achieve “smart economy” with a distributed network’. 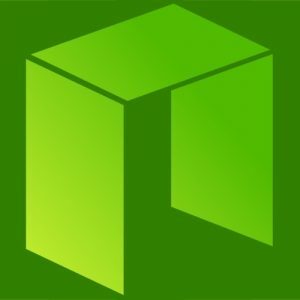 With the NEO blockchain, users are able to register, trade, and circulate multiple types of assets. Proving the connection between digital and physical assets is possible through digital identity. Assets registered through a validated digital identity are protected by law. The rise of NEO has been constant and steady, although China has a checkered history with Bitcoin / cryptocurrency acceptance. Notably, the Chinese government banned ICO’s from occurring on their territory (pushing many of the community to Hong Kong) and later officially banned cryptocurrency exchanges. The important thing to remember about this is that what most investors are betting on with this system is its adoption in China. Whilst China is not against using Western technology, if they have any home-grown talent, they’d be much more disposed to use it. Furthermore, the 1.3bn+ people in China give a HUGE amount of opportunity to the use of decentralized applications which should encourage smartphone users to engage with peer-to-peer technologies in ways never seen before in the world. A great example of how powerful this type of idea is lies with the many “city bike” schemes on the Mainland – a craze for them was built off the back of several successes, leading to a “bubble” of sorts. Whilst this has long-since popped, the same demand that fuelled its growth could also encourage blockchain-based technologies to grow too. With this in mind, the savvy investor would be looking at NEO from the perspective of Chinese growth. The American and Western markets are looking to be dominated by the likes of Bitcoin and Ethereum (or whichever systems achieve adoption and make the economics work)… the Chinese market seems open. Thus, to consider the NEO system for investment, you need to look at how it’s going to be adopted by the people in China. It certainly has the scope (doesn’t want to be a currency but focuses on the underlying platform) and seems to have a relatively competent team behind it. Transaction growth and reflections in the likes of price have also been noted as signs of one to watch.